Ships tomorrow if you order in the next 22 hours 20 minutes. Glucosamine Chondroitin by Klaire Labs is a natural joint support supplement that contains glucosamine sulfate and chondroitin sulfate. 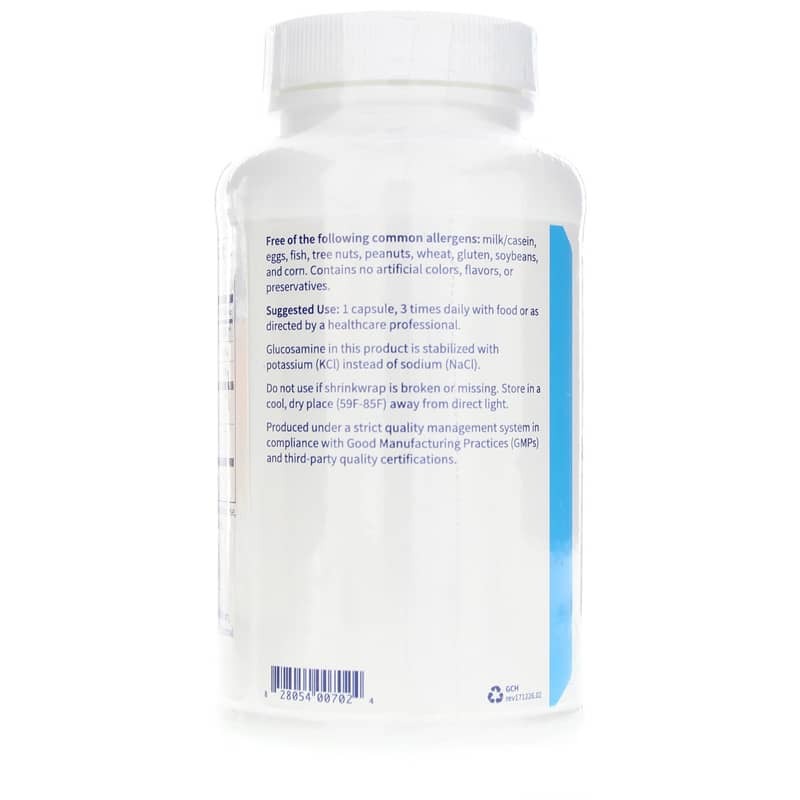 Chondroitin sulfate supports synthesis of cartilage tissue and inhibits cartilage degrading enzymes. 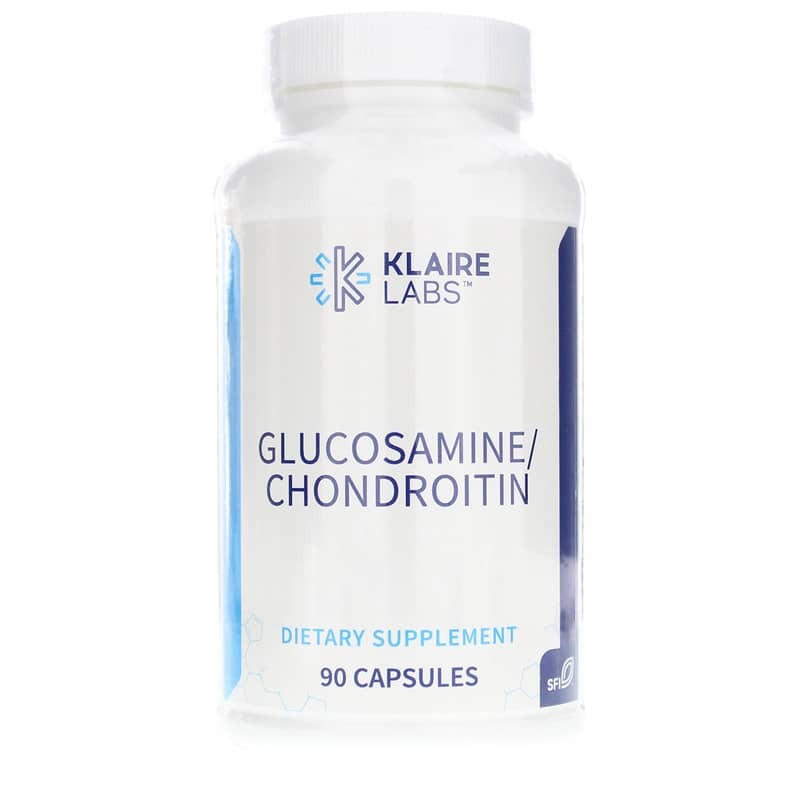 Using both chondroitin and glucosamine offers related but distinctive benefits. Other Ingredients: Vegetarian capsule (hydroxypropyl methylcellulose, water), L-leucine, microcrystalline cellulose, and silicon dioxide. Contains NO: milk, casein, eggs, fish, tree nuts, peanuts, wheat, gluten, soybeans, corn, artificial colors, flavors or preservatives. Adults: 1 capsule three times daily with food or as recommended by a healthcare professional. 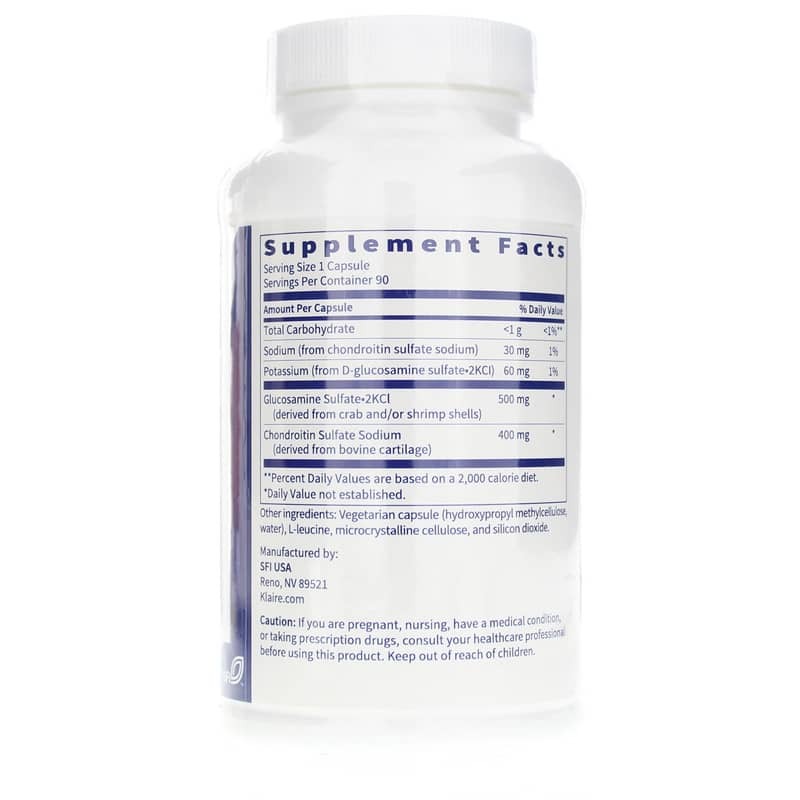 Only Glucosamine/Chondroitin that actually works!! This product came highly recommended to me by my chiropractor. I've been using it for some years now, and all the pain in my hands and knees are gone!! I stopped using it once, because I thought I could buy something less expensive--and guess what? The pain came right back!! So, I will keep using this product, because it works so well for me!